This is a funny, funny book. I cannot remember laughing out loud quite so much, quite so often, with any other book I've read recently. Ove's responses to the ordinary annoyances of life are purely reactive, with no self-reflection at all. I'm blunt and outspoken, by any standard, but even I would pause before saying and doing the things that Ove does when the world wrongs him. But I want to do them. This book is also deeply sad, because it accurately reflects the injustices of this vale of tears. Ove is a man who finds himself thwarted at every turn, by forces outside of his control. Ove is a man who doesn't fit the world in which he finds himself. He would be OK with that, if only the world would stop pestering him about it. Ove is the kind of guy I want to grow old to be. He is gruff and particular, and most of all wants to be left alone. His mastery of invective and dogged determination in the face of opposition are a force to be reckoned with. His sense of justice is implacable. I imagine other people find him, difficult. That whole package sounds pretty unappealing, or least I think it does to normal people. It sounds like fun to me. The experience of this book is discovering why Ove's sweet and free-spirited wife, the opposite of him in so many ways, and intrinsically more likable, loved him so dearly. She loved him not despite his personality, but because of it. In Aristotle's Categories, chapter 10, Aristotle talked about all of the different ways in which things could be opposites. The four different ways are called correlatives, contraries, privatives to positives, and affirmatives to negatives. The one of interest here is correlatives, opposites that only make sense in relation to each other. The example Aristotle used is the terms "double" and "half". Each of those only describe a thing in relation to something else. Ove and his wife Sonja only make sense in relation to each other. They are pure types of masculinity and femininity. Ove loves order and efficiency. He has a great knack with machinery, but finds other people strange and incomprehensible. He could probably go days without speaking. Sonja is spontaneous and out-going. She is gentle and encouraging, and loves to take in strays of all kinds. These tendencies in isolation can easily become destructive. In combination, they become something beautiful and perfect. 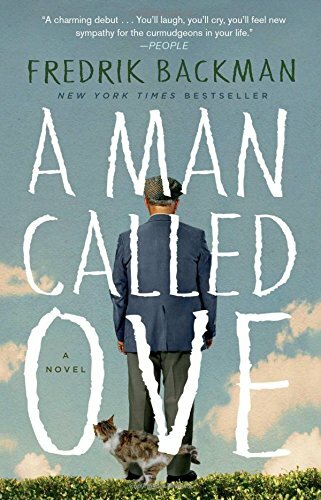 In addition to being a paean to sexual complementarity, A Man Called Ove is a book about the value of life, especially lives that seem valueless. In combination, Sonja's gift of seeing worth where others see none, and Ove's dogged determination to see justice done, produces miracles. I cried at the end. I want to be like Ove.